Cryptocurrency Bags • • •steemCreated with Sketch. 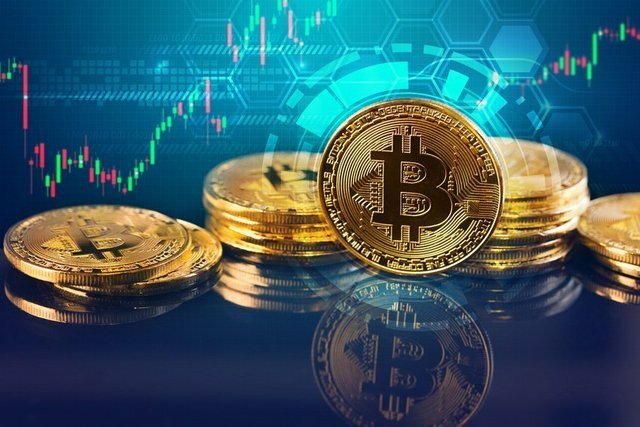 At the beginning of 2018, the total value of market capitalization of cryptocurrencies and crypto-assets exceeded 600 billion dollars, the volume of daily transactions exceeded 50 billion dollars, this figure is higher than the average of transactions made with dollars in the Stock Exchange of New York. In many countries of the world, we are investigating the use of the blockchain to guarantee more efficiency and security in transactions in this stock market. The Stock Exchange is a pioneer and authentic in its field, and the adoption of the blockchain establishes a transforming precedent in the financial markets industry, this measure will reduce errors and fraud, speed will be gained and the costs of financial transactions will be reduced. One of the ways to attract financing that companies have is to go to the Stock Exchange, issuing securities that are bought and / or sold in it. The Exchange is a market (securities or securities) where the offer is given by the issuance of new securities and the desires to sell existing securities, and the demand is constituted by the purchase wishes of such securities. In every stock market, a distinction must be made between the primary or issuing market and the secondary or trading market. In the primary market, savings are channeled towards investment and instrumented through securities and their values ​​(public and private). The secondary market aims to strengthen the primary market by giving it liquidity. Those who have invested in the primary market can sell their shares in the secondary without causing discomfort to the activity of the companies. Consolidate a surplus value already obtained (when the sale price is higher than the purchase price), get rid of an unproductive investment and exchange it for a more interesting one, or consolidate a loss due to the fear that the sale price will be less and less than the one of purchase. Although the object of the negotiation is very broad: (financial assets, gold, metals or other goods), the most important are the first, that is, actions, obligations and public effects. In each stock exchange, a general or joint index is defined, which at the end of each session will indicate whether the purchase (increasing the index) or sale (decrease) wishes prevailed. The securities that are issued can be fixed or variable. Fixed-income securities (bonds, bank bonds and public debt) are nothing more than a loan with a promise to repay the principal, plus a fixed-term loan. Equity securities (shares) lack the security of a future income, but they have the possibility of higher returns. The role of expectations about what may happen in the future is essential to understand the functioning of the Exchange. The good progress of the international and national economy, what happens in other exchanges, the possible interventions or governmental actions, the evolution of the listed companies determine the buying and selling wishes, and generate, in their case, self-feeding effects. Imported up or down indexes are easy to explain a posteriori, but are rarely predictable. To invest in the Stock Exchange must be done through authorized intermediaries. The only stockbrokers authorized to buy and sell shares are the brokerage houses, so to invest it is necessary to open an account in one of them.